Oh boy where has the time gone? It is already time to decorate for Christmas. I decided to start with the outside with the doors and work my way inside to the mudroom and windows. 1. 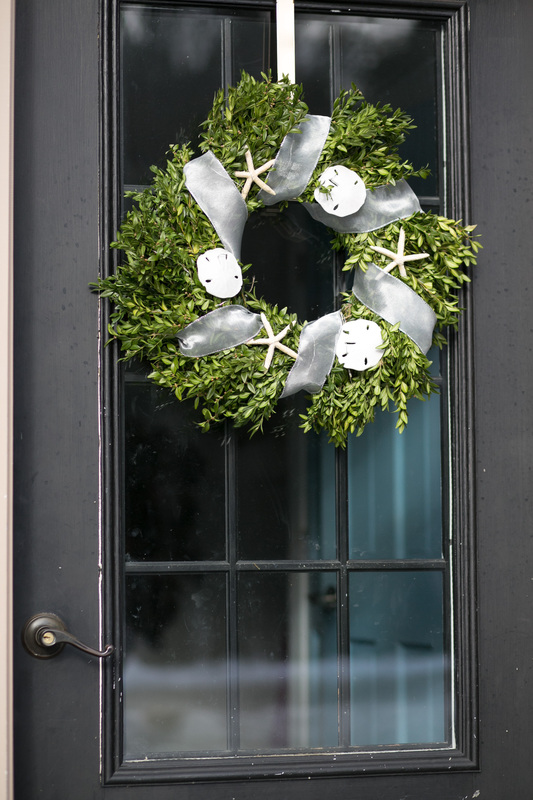 I made this wreath with Boxwood, Ribbon, Starfish and Sand Dollars. This was taken during the day but I put lights on it too, and I just love it! It cost about $23 total. 2. Just inside this door is our mudroom, this is a very busy space! The dogs hang out here and so do all shoes, and backpacks. 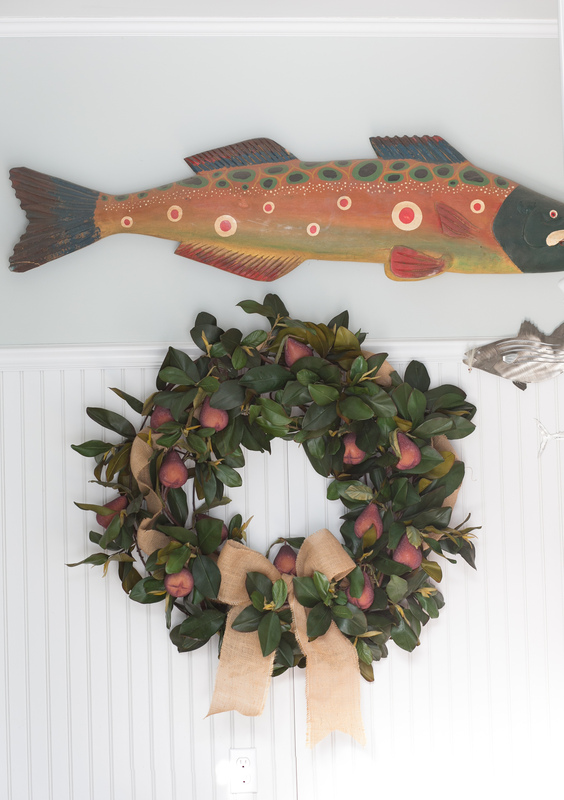 Here I have used a 36″ magnolia wreath, sugared pears, and burlap ribbon. 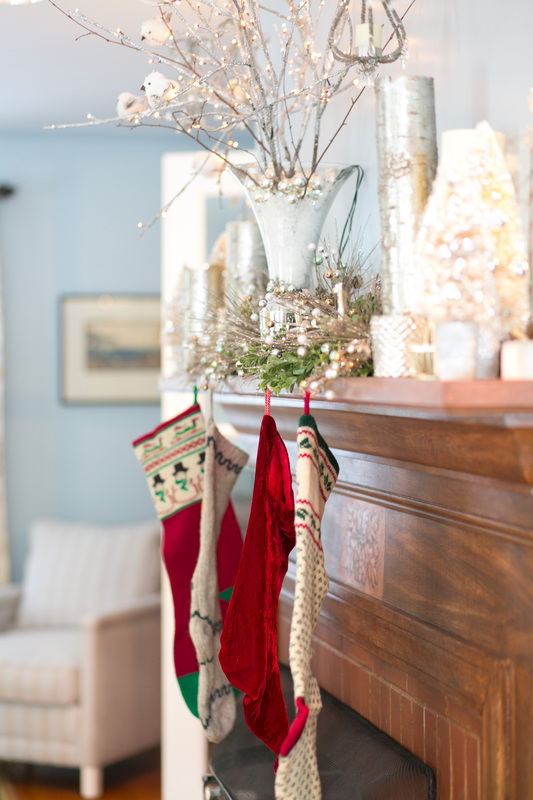 It kicks off my holiday décor in a big way. 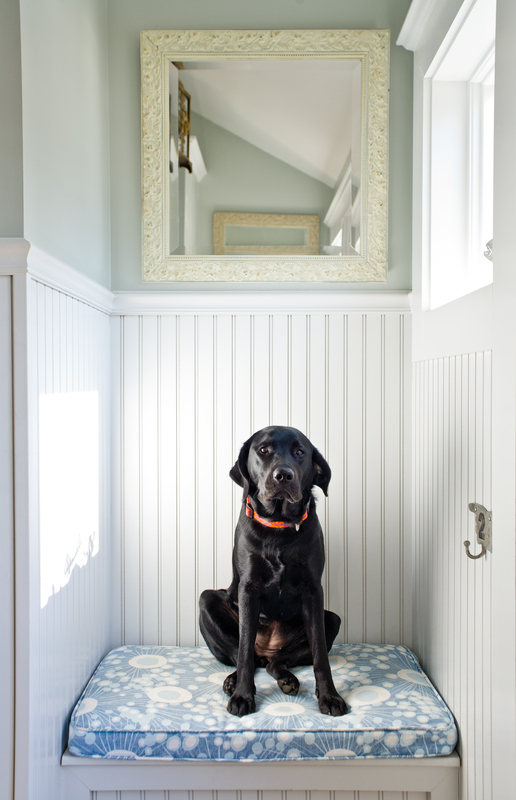 Olive our little dog loves the new addition to the space…our Lab is not sure it suits her, so she is still hanging out on the benches. 3. 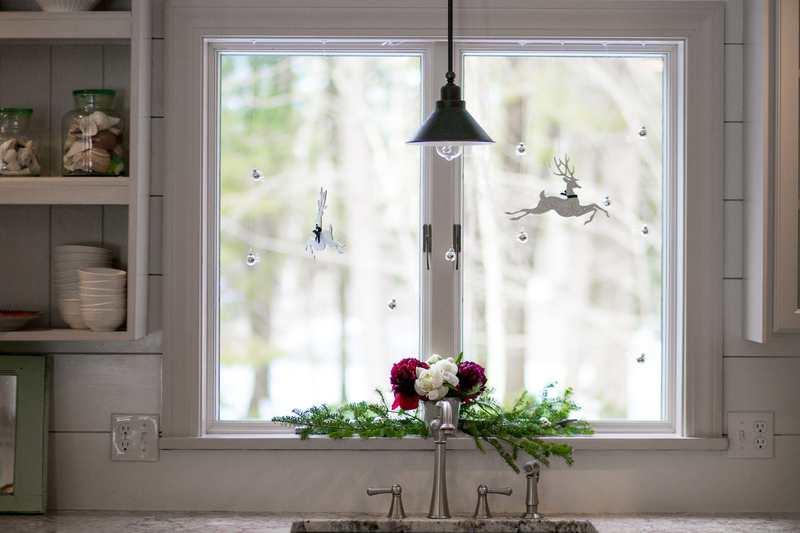 The next step was to decorate the windows. 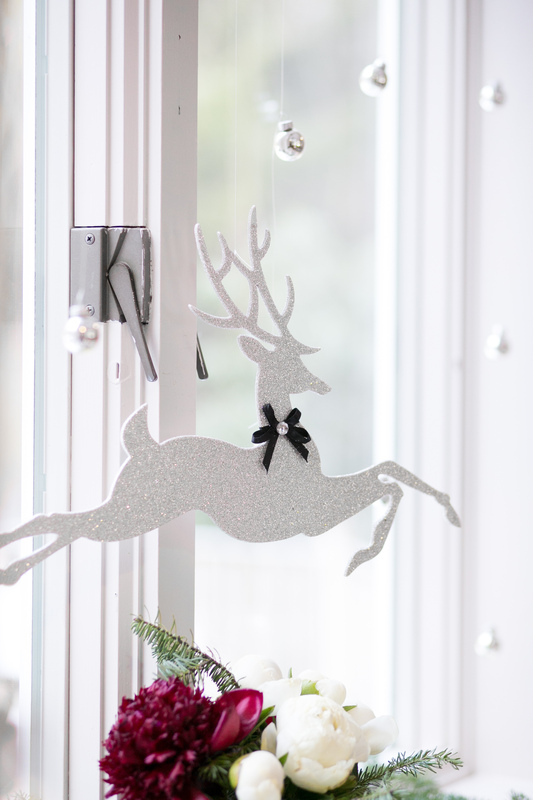 I love these silver glittery reindeer, I added mini silver Christmas balls all are hung with fishing line. 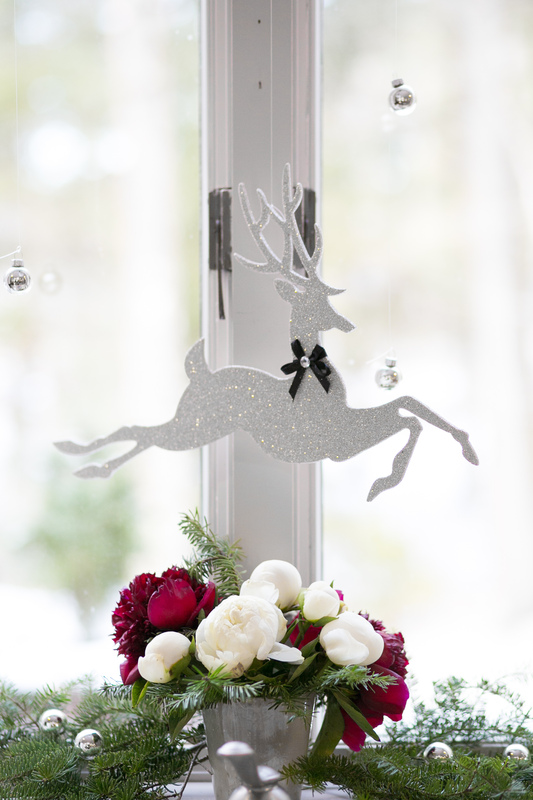 On the windowsill I have used pine branches, extra silver balls and a small arrangement of Peonies. It is simple but very pretty. I have gotten a lot done over the last few days. The next post will be on holiday table-scapes. 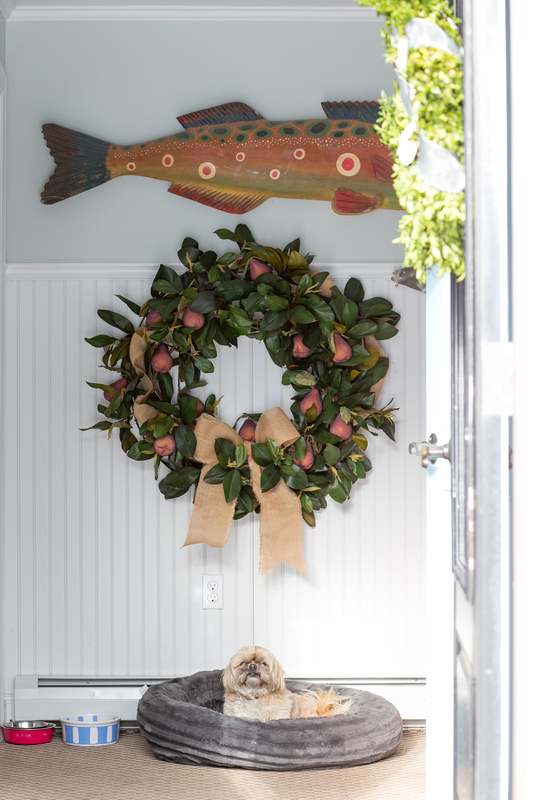 I hope you like my doors, windows and mudroom! Thank you Liz Donnelly for the photos!! !